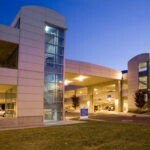 The Utah Valley Hospital is one of Utah’s busiest hospitals. It is the only Level II trauma center in Utah County (south of Salt Lake County) and it has the largest newborn intensive care unit (NICU) in the state. 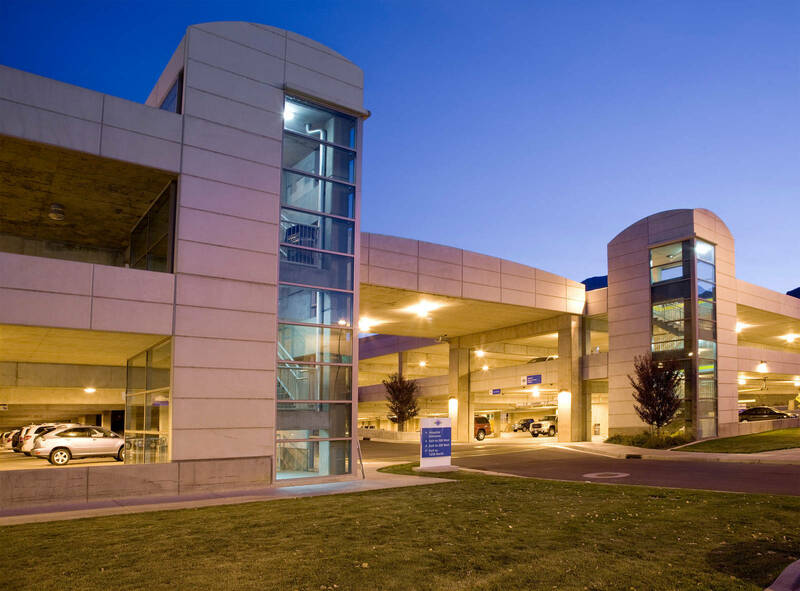 When the new outpatient building was constructed, the hospital’s management knew that they needed a new parking structure to accommodate building visitors. Big-D attached the three-story structure to the plaza, creating 571 parking stalls. Big-D self-performed all the concrete for the parking structure. During construction, we installed special earth-shoring systems to retain the soils for the deep excavations. Another challenge was the high water table. We used deep wells consisting of boreholes fitted with a slotted liner and electric submersible pumps to remove water until the permanent dewatering system was installed.